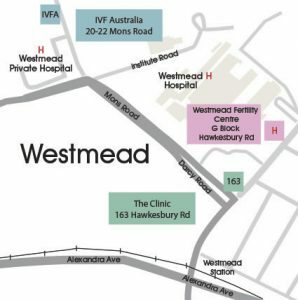 The Daher Centre is opposite Westmead Hospital, opposite the end of Mons (Darcy) Rd and near the corner of Queen St. Find the entrance between the Westpac ATM and Oporto Restaurant. Opening Hours; Mon, Tues, Weds, Thurs 12pm – 7pm, Sat 7.30 am – 2pm and other times on request. There is 2 hour free parking in adjacent streets and metered parking areas close by at UWS (enter from Hawkesbury Rd and follow signs to P1) and Westmead hospital (enter Main hospital entrance in Darcy Rd for car park 1 and from Hawkesbury Rd near emergency dept for car park 3). 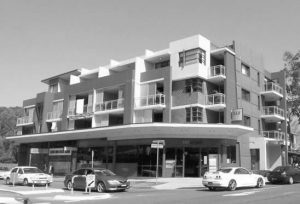 Westmead train station is a few minutes walk away. Bus routes are #711 along Hawkesbury Rd and T61, T62, T63, T64, T65 and 705, 711 along Mons/Darcy Rd.